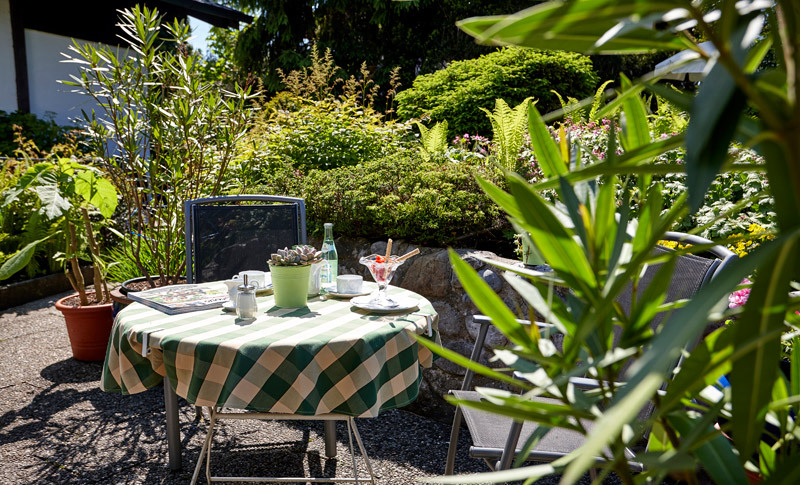 Our large sun terrace is the perfect place to enjoy breakfast in the morning or coffee in the afternoon. 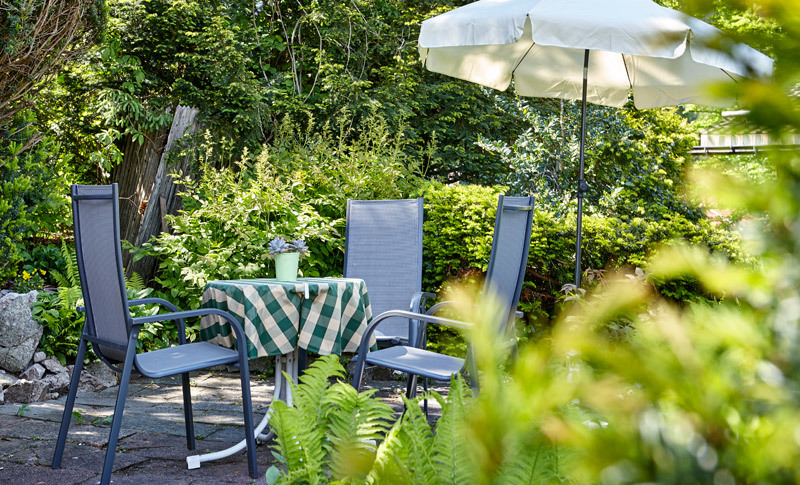 Sit back and relax in our comfortable armchairs surrounded by the beautifully scented flowers and shrubs in our large garden. 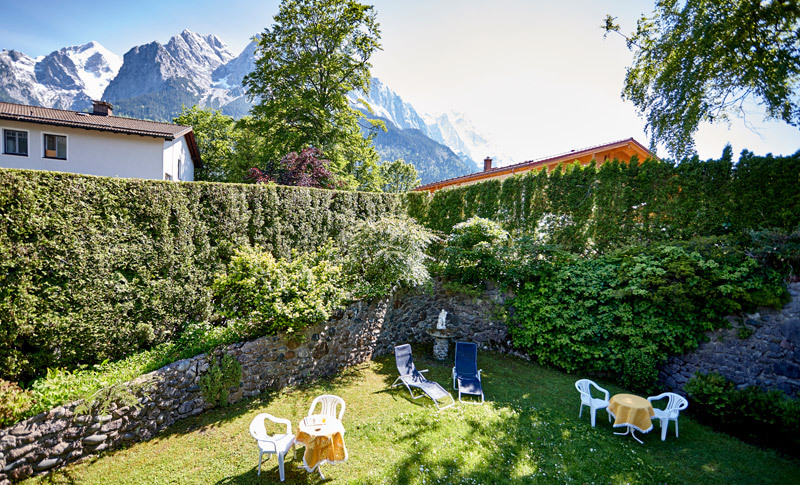 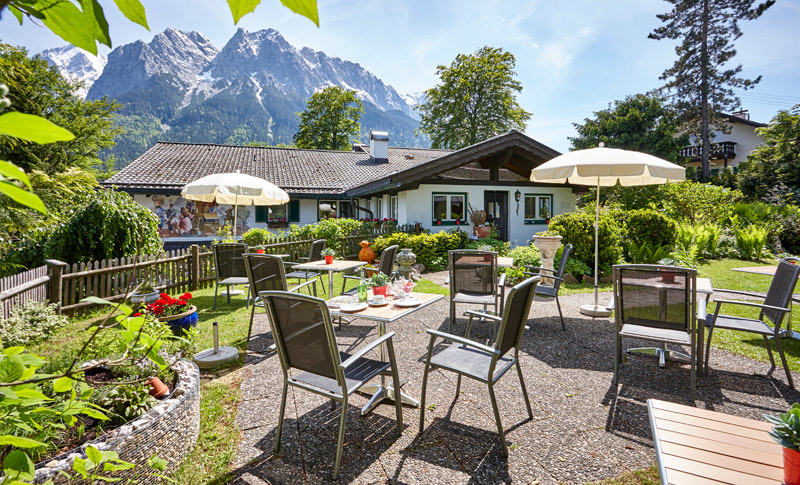 You can, of course, also enjoy stunning views of the Zugspitze and the other mountains surrounding the hotel. 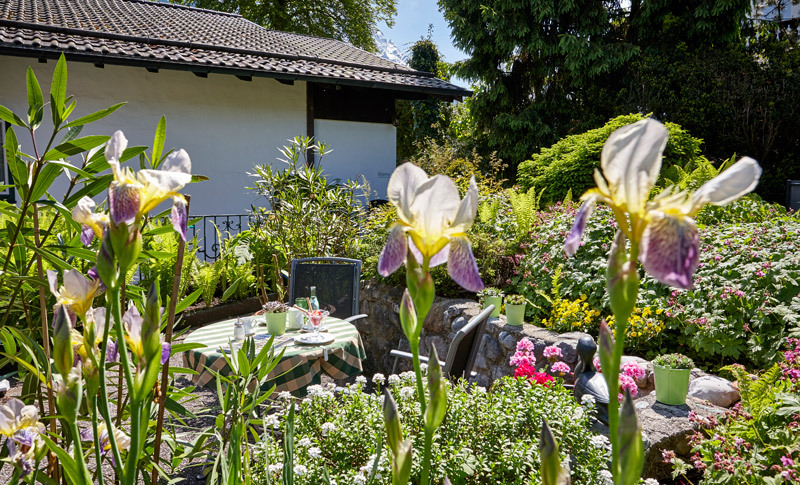 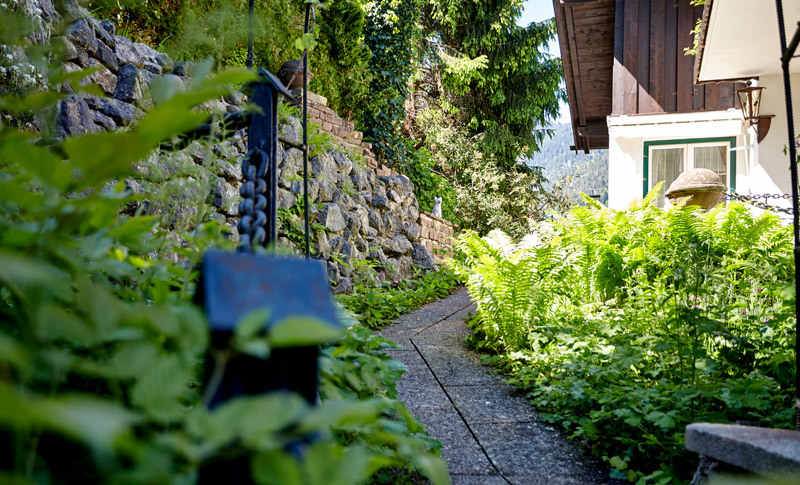 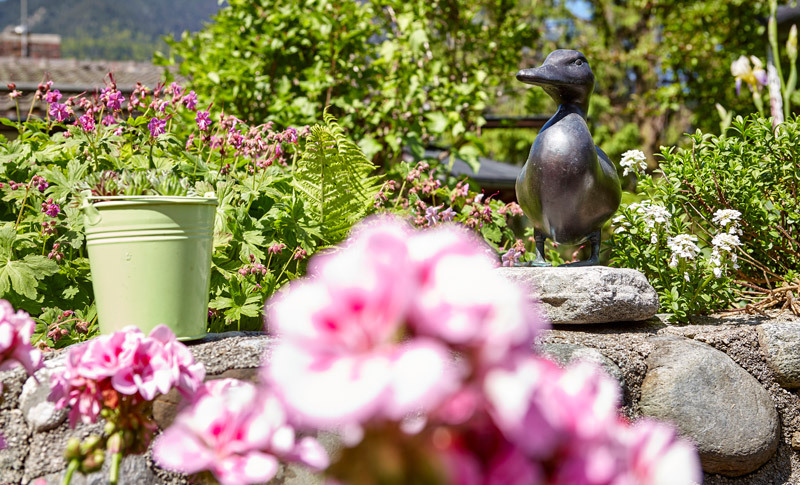 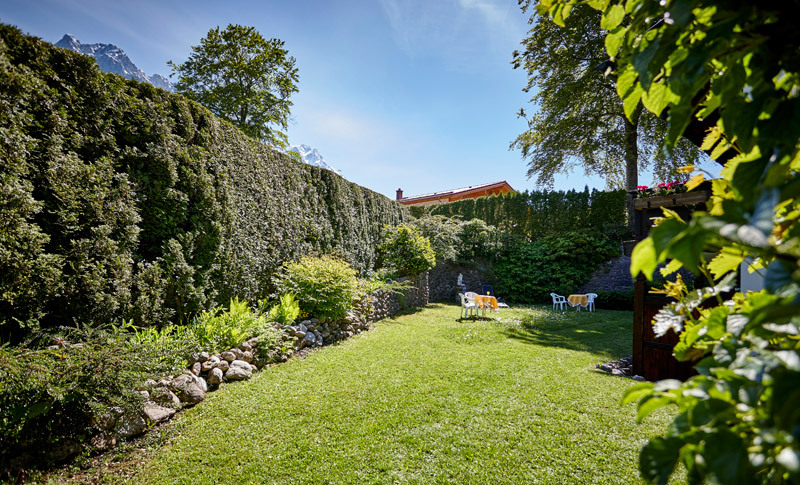 In addition to the sun terrace, our large garden also includes several idyllic nooks surrounded by beautiful flowers, which offer you the chance to admire the natural setting and enjoy a romantic evening for two out in the open air. 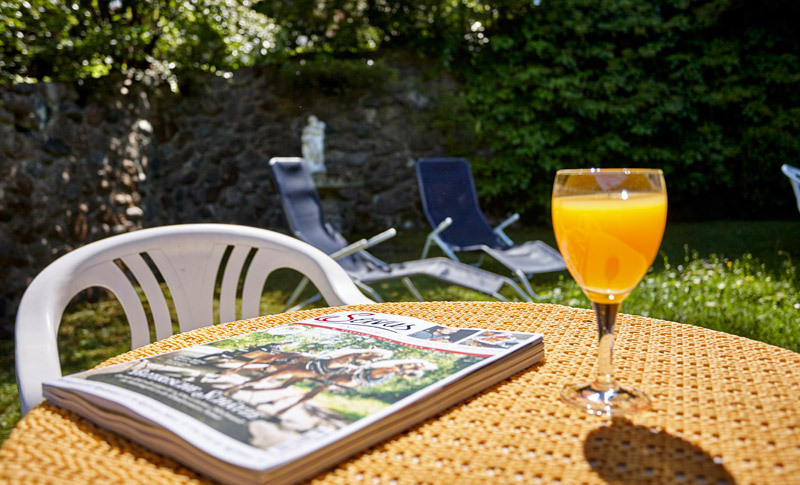 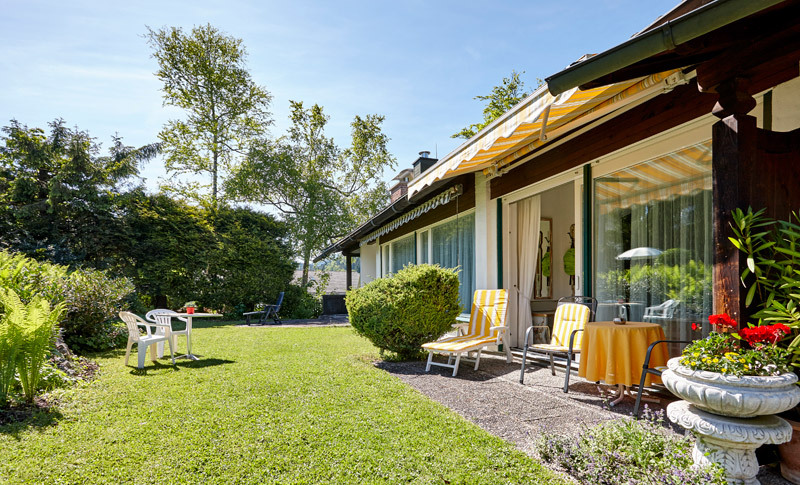 Our large sunbathing area invites you to lie back, relax and enjoy the sun. 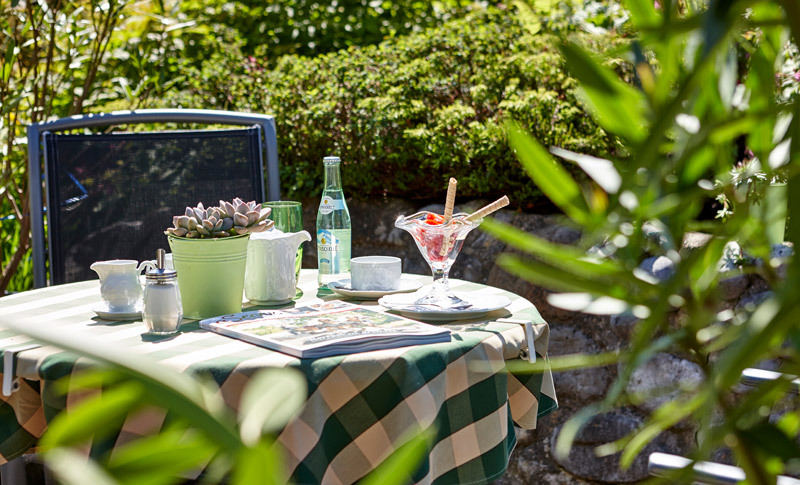 Sun loungers and parasols are available for guests at no extra charge. 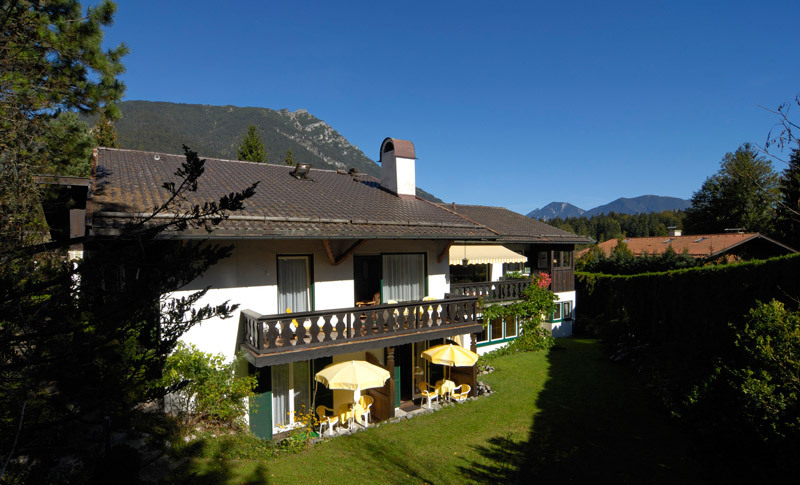 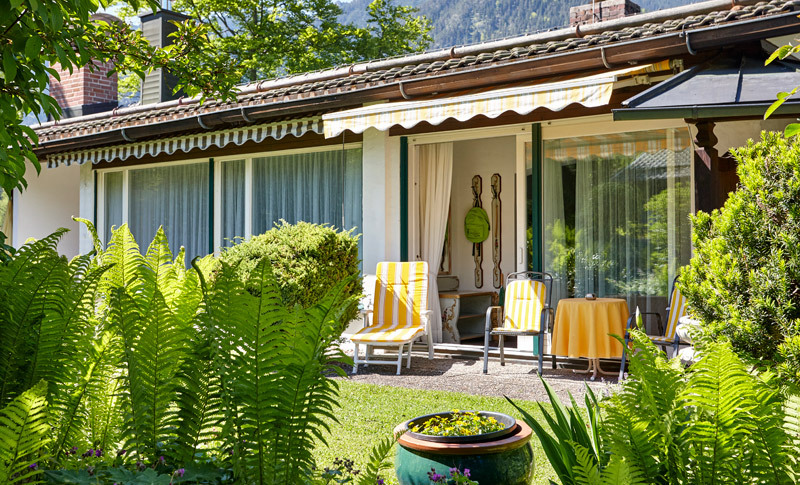 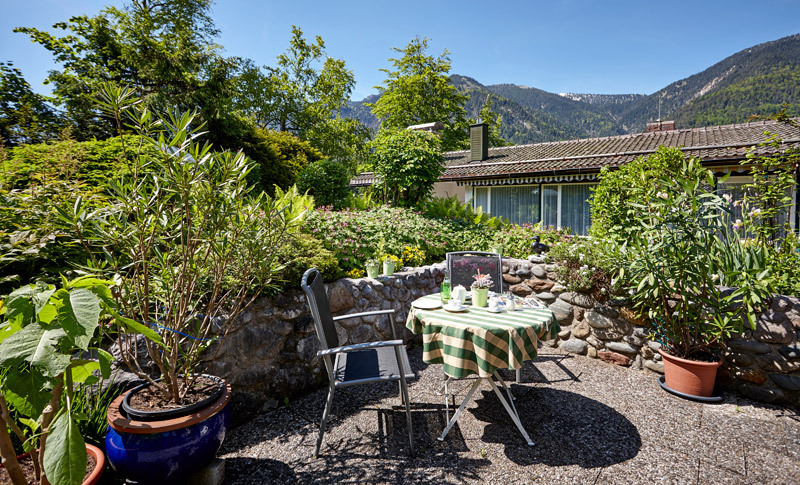 The hotel’s quiet location guarantees a relaxing sunbathing session, right at the foot of the Zugspitze!